3 ways to incorporate more Kale into your diet. Today, October 1st marks National Kale Day and to celebrate we have put together 3 easy and delicious ways to incorporate more kale into your diet. The reasons to include more kale into your regime are numerous; this superfood per calorie has more iron than beef, more calcium than milk and 10x more vitamin C than spinach. It also possesses anti-inflammatory properties, is jam packed with vitamins, low in calories and carbs and high in antioxidants. This is a super sweet and nutritious recipe that can be thrown in your juicer/blender and is also great at masking the taste and texture of kale. 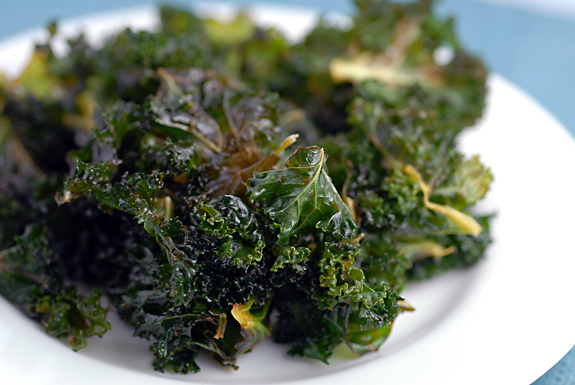 My favorite kale snack are lemon kale chips, there are super easy and quick to make and extremely guilt-free. A few months back, I discovered a tasty dish from Sweet on Veg that combines both kale and quinoa (which is high in fiber and protein) and I was hooked. This recipe seeks about two people and it takes 20 mins to prepare. Hope you enjoyed our kale inspired recipes, now go forth and eat more kale.